The Maxwell Siding Pavilion was recently completed in Hermiston and will host its first major event on Saturday. The Maxwell Siding Pavilion was recently completed in Hermiston and will host its first event on Saturday. It took a little longer than expected, but the Maxwell Siding Pavilion is finally ready. The 4,600-square-foot pavilion, 255 N. First St. in Hermiston, will function as an open-air shade structure in the summer, while giant glass doors can be rolled down to enclose the space in the winter. It will host Hermiston’s farmers market this summer. Owner Mitch Myers said he is excited about the history of the site, which at Hermiston’s inception housed the Maxwell railroad siding. “Had this site not existed as the Maxwell Siding, Hermiston would not exist,” he said. In the late 1800s and early 1900s the stone and lumber that built Hermiston’s oldest buildings were delivered to the site, along with regular deliveries of food and other supplies for the homesteaders carving a town out of the sagebrush. Decades later, buildings along the railroad tracks were demolished or stood empty. In the last few years Myers sold one piece of property for the Holiday Inn Express to be built, built the Maxwell Event Center on another, created the Maxwell Siding Pavilion and is renovating another building farther north. “There was a big divide between east and west in Hermiston, and I feel like those improvements brought Hermiston together,” Myers said. While the pavilion itself is finished, Myers said when the weather gets a little warmer he has a replica of a metal bell that used to stand in the corner of the property that he will install on the site with a plaque about the Maxwell Siding. 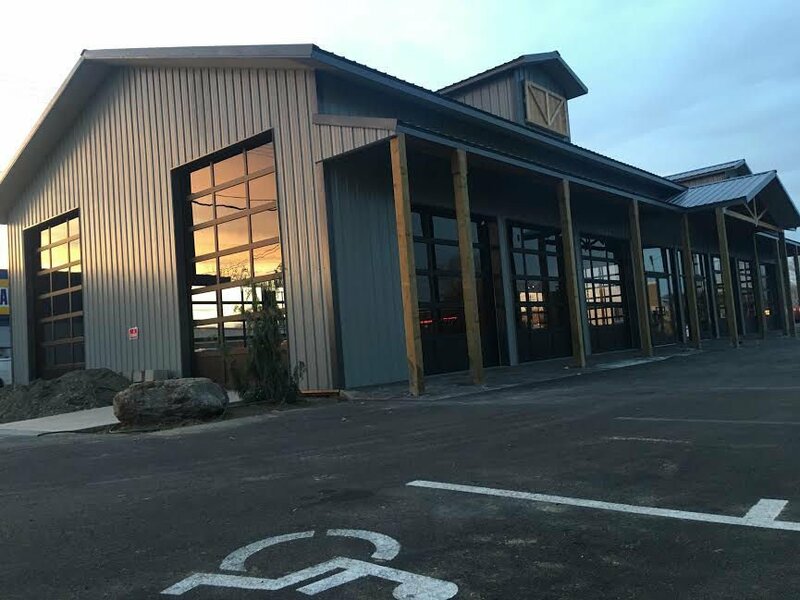 To celebrate finishing the pavilion, Myers is hosting the Maxfest craft beer festival there on Saturday from 4-10 p.m. and a grand opening event on Friday from 6-10 p.m. that will include a silent auction to benefit Jasmine Ellwood, a local high school student with cancer. Silent auction items include a Traeger grill and some “gorgeous” wooden cutting boards created by Ellwood’s father, Mike Ellwood. “It just felt like a great opportunity to give back,” Myers said. Tickets to Saturday’s Maxfest are $30, and a $40 VIP ticket will include free food and drink at Friday’s event and other perks on Saturday. On Saturday, the 21-and-older Maxfest will include live music from the Wasteland Kings and Brewer’s Grade. Myers said craft offerings from about 20 local breweries and wineries will be available for purchase, as well as fresh seafood from oyster shuckers out of Seattle. The pavilion will be heated and enclosed for the event. The Maxwell Siding Pavilion was supposed to host the farmer’s market — rebranded Maxwell Market — in 2018, but its construction was delayed by a dispute between Myers and the city’s building department and the market was moved to a nearby parking lot. Myers plans to host the 2019 Maxwell Market at the new pavilion this spring, and is also making it available for event rentals. For more information about Maxfest or the pavilion, call 541-561-1047.